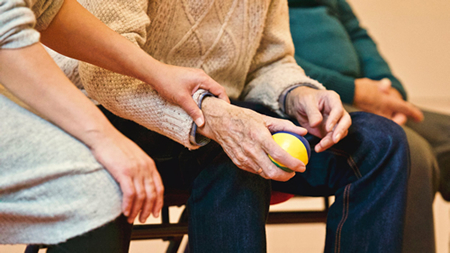 Whether you’re simply getting a feel for what becoming a resident might be like or simply need help caring for your loved one during a trying time, you’ve come to the right place. At Berrington, we believe that it’s an honour and privilege to care for your loved one, and when they’re with us, they’re a part of our ever-growing family—as are you. Respite care is a fantastic way to better accommodate the transition of your loved one into permanent care. At Berrington, our amenities are first-class 365 days a year. We strive to provide all for your loved one that we can, and during their stay with us, they’ll get a better idea of how they’re golden years are still full of promise. From day one, fulfilling your needs and hopes is our number one priority, while bringing joy, ease and absolute comfort to your loved one. Will my loved one receive the same daily care as all permanent residents? While each resident has differing needs, a resident in respite care has full access to our grounds, medical care or transport, five-star eateries and much more. Does the option exist to extend residency permanently? Certainly—in fact, it happens more often than you might think. Our residents absolutely love being a part of our community, and families grow to understand that there really is no better place for their loved one to live out their golden years than Berrington. Will I be able to visit my loved one? Absolutely. In fact, we encourage family members and friends to visit loved ones as often as they’d like. Our beautiful grounds offer an incredible setting to spend time, play, eat and chat for as long as you’d like. Because every residents’ needs are different, it’s difficult to estimate an exact cost without meeting with you to discuss the needs of your loved one first and foremost. Do respite residents need ACAT approval? No, respite residents do not need ACAT approval. However, if the decision is made to become a permanent resident, ACAT approval is necessary. We’d love to speak with you about all that Berrington can offer you and your loved one. To learn more today, give us a worry-free call at 1800 237 746 . Remember, providing prestigious care is always our highest priority.